We are hugely excited to be exhibiting at Fresh: Art Fair again this year. We will be taking a fabulous selection of new work from some of our favourite artists. We do have a limited number of free tickets to give away nearer the time, so if you'd like to come along please contact the gallery. Hope to see you there! The Paragon Gallery is delighted and honoured to announce “Transcendence”, the third solo exhibition of original paintings by acclaimed French artist Corine Ko, running from the evening of Thursday 23rd May until Saturday 8th June. Based in Marseille, Ko’s artistic process is a dramatic fusion of photography and painting. Reworking her photographs with the eye of a painter, she constructs a poetic narrative of charged emotional feeling. From one work to the next she calls into being a sensual and feminine world that speaks of intense yearning and the profound strength of the ties that bind us together. Featuring more than twenty recent original works on canvas, “Transcendence” will document the continuing evolution of this most refined and lyrical of artists. By turns soothing and nourishing, Ko’s work draws the viewer into a space of rest and dream-like serenity, offering a sense of catharsis from the drama of daily life. We warmly invite you to join us on the evening of Thursday 23rd May 6-8pm for the opening of this superlative collection of work, for which the artist herself will be in attendance. One of the best-known and most beloved artists of the 20th Century, Marc Chagall’s visionary work has entranced audiences for decades. The Paragon Gallery is truly honoured to announce the arrival of a stunning overview of his graphic work that will be on display between 4th July and 1st August 2019. Viewers will find some of the most enduring and poetic images of modern art depicted in an array of techniques, from etching to lithography. The collection will include examples from the artist’s greatest bodies of original prints, such as Gogol’s “Dead Souls” (1948), “Les Fables de la Fontaine” (1952) and The Bible Suite (1960). Also included will be a selection of original posters created at the renowned Atelier Mourlot. Born in 1887 in Russia, Chagall travelled extensively throughout Europe before escaping to the United States at the outbreak of the Second World War. Settling permanently in Paris in 1948, he exhibited at the Louvre and undertook a series of major commissions for the United Nations, the Paris Opera, the cathedral in Metz and the Hadassah University Medical Centre in Jerusalem. He died in 1985 at the age of 97. We are delighted to announce our 6th annual exhibition of original paintings by some of Russia’s most acclaimed artists. Featured artists include our popular resident artists; Iryna Yermolova, Katya Gridneva, Sergej Ovcaruk, Olga Simonova and introducing Oleg Dozortsev. Guest artists will be announced very soon. 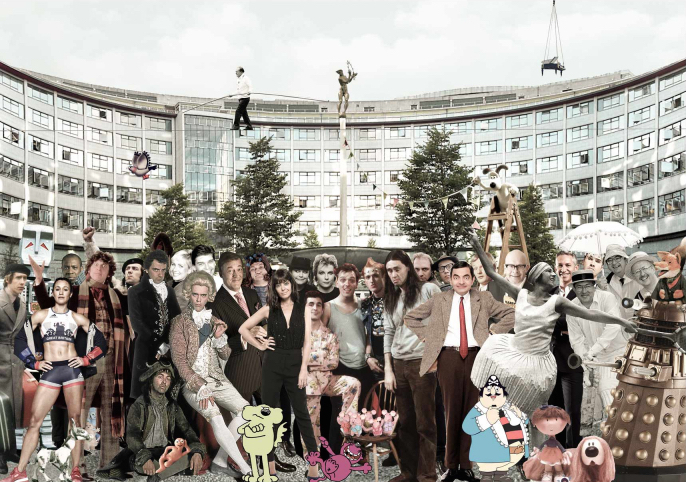 Sir Peter Blake has long been considered the Godfather of British Pop Art. Knighted in 2002, an honorary doctor of the Royal College of Art and with his work represented in major collections throughout the world, Sir Peter Blake is a prominent figure in British contemporary art. It is with great pride we announce dates for a grand exhibition of original silkscreen prints. The exhibition will begin with a Private View on Thursday 6th December 6-8pm, with an opportunity to view his work on the magnificent Art Bus. Visit the gallery and immerse yourself in British Pop Art history. These pieces are an absolute must-have for the new and established collector. We hope you can join us. We are excited and proud to announce dates for our 2nd annual exhibition of original paintings by Corine Ko. You are warmly invited to join us in the gallery to celebrate this extraordinary talent and view an emotive collection of original mixed media paintings. We are hugely excited to announce Fresh: Art Fair is back and we are delighted to be exhibiting there again this year! We will be taking a fabulous selection of new work from some of our favourite artists, including, Corine Ko, Paul Oz, Iryna Yermnolova, Raquel Alvarez, Adam Binder, Peter Vernon and more. We do have a limited number of free tickets to give away so if you'd like to come along please contact the gallery as soon as possible. Friday is free during the day for everyone and then Happy Hour from 5.30pm (this is ticketed). This year Fresh has an amazing new outdoor sculpture park, artist demos and expert speakers giving talks. So much to see you may need to come again and again (free re-entry tickets for all). Hope to see you there! We will be exhibiting at the Edinburgh Art Fair this year, located at the Edinburgh Corn Exchange on New Market Road. If you are in the area and fancy popping along let us know as we will be able to give you a free ticket. With over 60 galleries showcasing the work of hundreds of established and emerging, national and international artists from all pockets of the globe, there will be literally thousands of artworks for sale including; paintings, sculpture, original prints, photography, ceramics and glass. With all subject matters and mediums covered, and with price tags to suit all pockets, there is sure to be something for everyone. Bruce McLean is a major figure of contemporary British art and we are proud and privileged to be exhibiting a collection of his original prints in the gallery from Saturday 28th October. McLean has gained international recognition for his paintings, ceramics, prints, work with film, theatre and books. He was Head of Graduate Painting at The Slade School of Fine Art, London and has had numerous one man exhibitions including Tate Gallery in London, The Modern Art Gallery in Vienna and the Museum of Modern Art, Oxford. We will be showing a selection of the Dream Gardens Monoprint series, among others. Visit the gallery to view a slice of contemporary British art history, an absolute must-have for the contemporary art collector. We will be exhibiting at the AAF in Battersea Park, London again this year. Over 100 galleries from all over the world exhibiting under one roof with original paintings, prints and sculpture from between £100 - £6000. We will be exhibiting work by: Corinne Ko, Victoria Young Jamieson, Raquel Alvarez, Iryna Yermolova, Tony Heath and sculptor, Adam Binder. For more information visit their website or give us a call. We have a limited number of free tickets so do let us know in advance if you'd like to visit. We hope to see you there! We will be exhibiting at the AAF in Bristol again this year which takes place in Brunel's Old Station, Temple Meads. If you've not visited the AAF before you're in for a treat! There will be 50 galleries exhibiting under one roof with original paintings, prints and sculpture from between £50 - £5000. We will be exhibiting work by: Corinne Ko, Victoria Young Jamieson, Christa Hillekamp, Ana Matias and sculptor, Peter Vernon. We are thrilled to announce dates for our first Corinne Ko solo exhibition, "Life & Love," marking 2 years with The Paragon Gallery. It'll be opening with a Private View on Thursday 15th June 6 - 8pm. 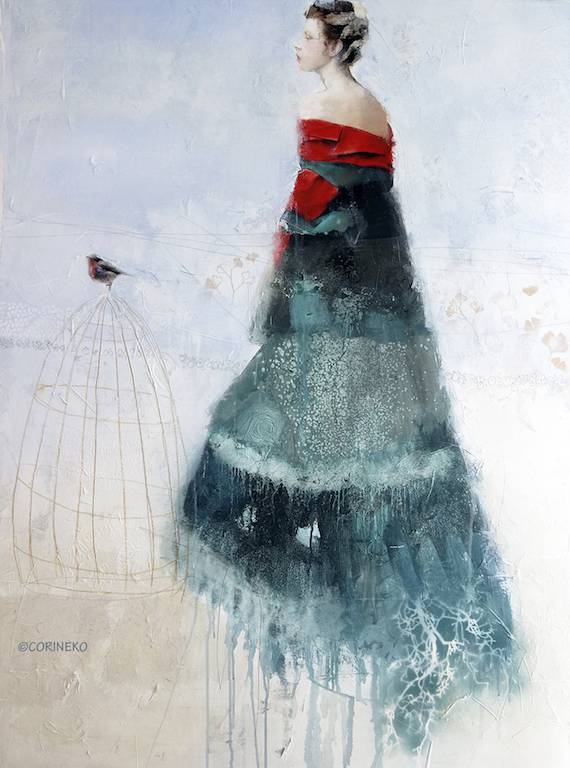 Corinne works using various materials to create her identifiable style, including photographs, fabric, textured paper and diluted acrylic and ink. Since joining the gallery in Summer 2015, she has fast become one of our most popular artists. The exhibition ends on Saturday 1st July. We hope you can make it. 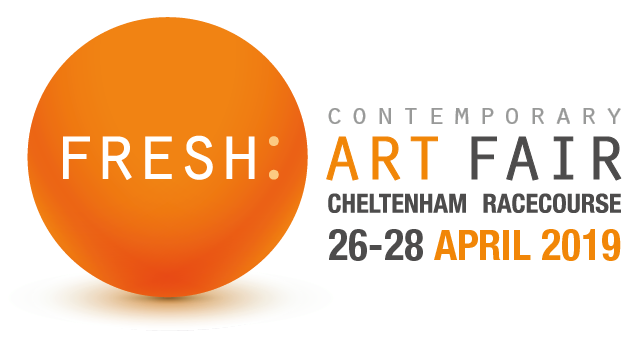 We are hugely excited to announce we will be attending a brand new contemporary art fair at the Cheltenham Racecourse called Fresh: Art Fair. Being on our doorstep we could hardly resist! The fair is taking place in The Centaur, starting with a charity private view on Thursday 11th May from 5.30pm - 9pm. We will be Stand 45. This really is a treat for the Cotswolds, having our very own international art fair, housing 45 excellent galleries from around the UK and overseas, 1000's of pieces of artwork all under one roof and just a stones throw from Cheltenham! We are hugely proud to announce dates for a very special exhibition of work by the undisputed King of Pop Art, Sir Peter Blake. We will be showing an iconic collection of original prints from a selection of his work, including the Paris Suite, Homage to Rauschenberg and the Wooden Puzzle Series, among others. Sir Peter Blake, CBE, RDI, RA is an English pop artist, best known for co-creating the sleeve design for the Beatles' album Sgt. Pepper's Lonely Hearts Club Band. One of the best known British pop artists, Blake is considered to be a prominent figure in the pop art movement. Central to his paintings are his interest in images from popular culture which have infused his collages. In 2002 he was knighted at Buckingham Palace for his services to art. If you're wanting to embrace Pop Art, you can also visit The Wilson for their Pop Art In Print exhibition from the 25th March and The Sir Peter Blake Art Bus at Fresh: Art Fair, Cheltenham Racecourse 12-14th May. You are warmly invited to our fifth annual Cotswold Artists exhibition which celebrates some of the finest painters and sculptors in the UK based right here in the Cotswolds. We will have an exciting and varied collection of original paintings and sculpture on display from some of our resident artists and introducing guest artist, painter, Tony Heath. Resident artists featured include, Raquel Alvarez, Martin Bowden, Rod Craig, Georgie Woolridge, Michael Long, Jim Starr, Victoria Young-Jamieson, among others, sculptors Adam Binder and Jack Russell, and glass-blowers Colin & Louise Hawkins. If you would like to attend the private view please contact the gallery. The exhibition ends on Saturday 6th May. We hope you can join us. The Cotswold Hare Trail, organised by the Cirencester March Hare Festival, enters it's fourth year and Paragon is sponsoring one of the giant beasts this year. Five foot hare sculptures will be decorated by nominated artists/designers and will be displayed in public spaces across the Cotswolds from March until September, at which point the hares will be auctioned off for the National Star charity. We nominated one of our favourite local artists, Georgie Woolridge, to do the grand job of decorating the hare in her own style...we thought this was right up Georgie's street! Since December 2016, she has been beavering away at this project and we are all very eager to see the finished product in March. See our facebook page to follow Georgie's progress. Georgie's hare will be on display either inside the gallery or on the pavement outside from 25th March. We hope you can come and take a look! We teamed up with Cotswold Life magazine for their Landscape Painter of the Year competition, offering creative locals, both amateur and professional, the opportunity to combine their love of painting and the Cotswolds. The winner receives a cash prize of £500 and a chance to exhibit at the gallery, alongside selected runners up. We were joined by Alison Bevan, Director of the RWA, in the challenging task of picking a winner and shortlisting 3 other artists for exhibition. We are delighted to announce our winner is retired teacher John Menzies for his stunning watercolour titled "Dance & Drama" (featured below). Shortlisted artists include; Jan Whitton and her painting "Crickley View", Mike Skinner and his painting "Chalford to Cirencester by Road" and Gillian Keightley's "Woodchester St Mary's". Congratulations to you all! The exhibition will run from Thursday 23rd March - Saturday 25th March and we hope you can pop along and enjoy a diverse and striking collection of paintings by these talented winners. We are delighted to announce our fourth annual exhibition of original paintings by some of Russia's most acclaimed artists. Featured artists include our popular resident artists, Iryna Yermolova, Katya Gridneva, Alexei Basanov, Olga Oreshnikov, Boris Anikin and Sergej Ovcaruk. We will also be exhibiting a selection of work by guest artists; Alexei Kvaratskheliya, Andrei Smirnov, Armen Gasparain, Kirill Gorodetsky, Nikolai Reznichenko, Oleg Eldeukov, Olga Gasparain, Revaz Kvaratskheliya and Valeriy Gridnev. Please contact the gallery if you would like to attend. We are delighted and proud to introduce "Soundwaves" by artist Tim Wakefield for a very special Christmas show. Tim's beautiful and colourful contemporary "Soundwave" artworks combine music and technology by capturing the digital heartbeat of some of the world's most iconic songs. Each piece is a limited edition and signed by the music legends whose songs the pieces are created from, including Paul McCartney, Eric Clapton, Dire Straits, Pink Floyd, The Killers, George Michael and others. The exhibition will begin with a private view on Thursday 8th December 6-8pm, continuing until Saturday 31st December. Please let us know if you would like to come along to the private view. We hope you can join us for a Christmas drink and to view this spectacular and unusual collection of abstract work. Paul McCartney "Band On The Run"
We are delighted to launch the hugely talented landscape artist, Peter Kettle, starting with a private view on Thursday 27th October 6 - 8pm at the gallery. We hope you can join us. Peter is based in Bristol where he works as a full time landscape painter, having moved from the Vale of Glamorgan in South Wales. Inspired by Kiefer, Peter’s use of mixed media is a dominant feature in his work, incorporating different materials gives an impression of worn exterior walls, buffeted and corroded over time. In 2014 Peter was invited to become a Fellow of the Royal Society of Arts, and in 2015 a member of the Royal Cambrian Academy. 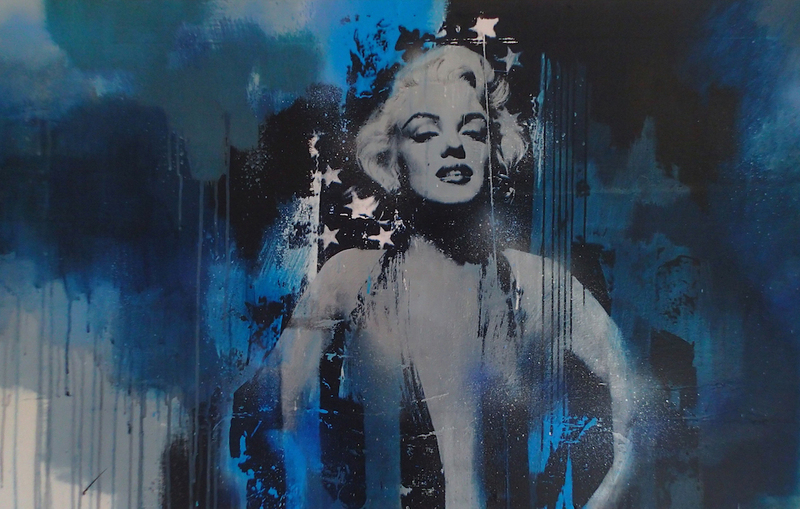 His work has been exhibited all over the UK in group and solo exhibitions and is held in private collections worldwide. We are proud and excited to launch award-winning artist, Ben Hughes. We will be holding a private view from 6pm on Thursday 15th September in the gallery, celebrating his introduction to Paragon with a collection of original oil paintings. Ben paints primarily in oils, producing striking images in an entirely unique style, his talent extending across realist and abstract fields. His accolades include the Davison Award from the Royal Society of British Artists and the Best Emerging Artist and Viewers Choice Award from the Royal West of England Academy. We are excited to announce dates for a fabulous French show starting with a Private View on Thursday 2nd June 6 - 8pm. The exhibition features original paintings by our resident French artists, Sebastien Levigne, Corinne Ko and Patrick Cornée and introducing sculptor Lou-Brice Leonard, fittingly from Montpellier, France. Sebastien Levigne first exhibited in the UK in 2008, his popularity has grown rapidly since then and he now exhibits regularly in London, New York, Hong Kong and Singapore. Corinne, a painter and photographer from Marseille, joined us a year ago and has fast become one of our best selling artists, her work is evocative and etherial, pervading a sense of peace and thoughtfulness. 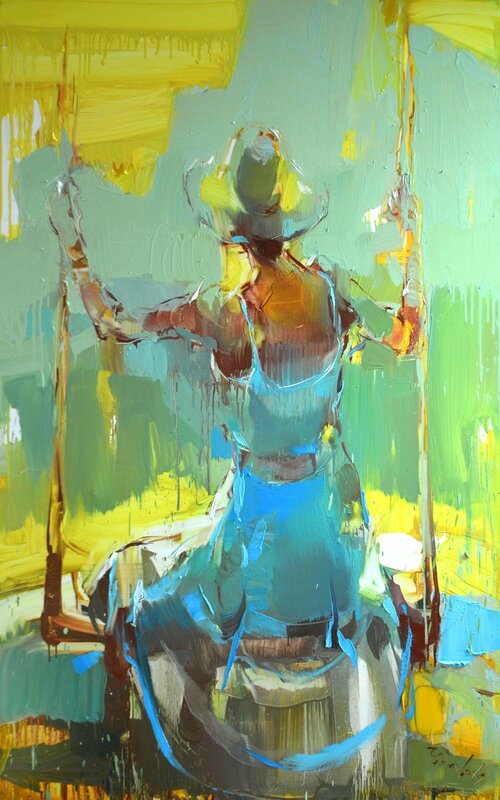 Patrick, from Mougins, is our most recent addition to the French contingent, he creates bright and positive expressionist figurative oils on canvas. Lou-Brice adds another dimension to the exhibition in the form of sculpture depicting the female form in a sensuous and graceful way in clay, cement and glass. The Exhibition will run until Saturday 25th June. Our fourth annual exhibition of works by some of the finest painters, sculptors and photographers in the Cotswolds. We will have an exciting and varied collection of work on display from some of the Paragon's existing artists and some brand new local talent. For more information, or to receive an invitation to the private view on Thursday 21st April please contact the gallery. Resident artists featured include, Martin Bowden, Rod Craig, Paul Oz, Georgie Woolridge, Jessica Bleasby, Jilly Barr, Alex Churchill, Jim Starr and Robert Goldsmith, FRPS Nicki Gwynn-Jones and sculptors Peter Hayes, Jack Russell, Colin & Louise Hawkins and Holly Bennett. We have a number of guest artists this year, including masterful still life by Raquel Alvarez and exquisite bronze sculpture by Adam Binder, among others. We look forward to welcoming you to the gallery. We are delighted to announce our third annual exhibition of original paintings by some of Russia's most acclaimed artists. Featured artists include our popular resident artists, Iryna Yermolova, Katya Gridneva, Alexei Basanov, Sabir & Svetlana Gadzhiev, Olga Oreshnikov and Sergej Ovcharuk. In addition, we will be exhibiting a selection of work by some guest artists. There will be a Private View on Thursday 18th February from 6 - 8pm. If you would like to attend please let us know as soon as possible. With 60 galleries showcasing the work of hundreds of established and emerging, national and international artists from all four corners of the globe, there will be literally thousands of artworks for sale including; paintings, sculpture, original prints, photography, ceramics and glass. With all subject matters and mediums covered, and with price tags to suit all pockets, there is sure to be something for everyone whether for the home or the office. We are delighted to hold the second annual exhibition by the Dobunni Painters at the Paragon Gallery in October this year. The Dobunni Painters are a celebrated group of professional artists who live and work in the West and South West of England. They are each well established painters sharing a passion for landscapes which they deliver in such a wide variety of media and styles that their exhibitions are always fresh and fascinating. No strangers to Cheltenham, they exhibited in recent years at Martin’s Gallery in Montpellier. The Gallery will be hanging work by Doug Eaton, Andy Le Poidevin, Jane Lampard, Valerie Batchelor, Michael Long, Maggie Banks and Cheltenham’s own Robert Goldsmith. Their work appears in professional exhibitions for The Pastel Society, The Society of British Artists, The Institute of Painters in Watercolour and The Royal West of England Academy, and is in private collections in UK and abroad. Private View Thursday 8th October from 6pm. The exhibition will run until Saturday 24th October. Hope to see you there. We are very excited and proud to launch a beautiful new colouring book by our star local artist Georgie Woolridge. Please join us in the gallery on Saturday 3rd October from 5pm to celebrate the forthcoming book "Birds" created by Georgie and published by Modern Books. "Birds" is a beautiful new colouring book for all ages and will be available to buy on the evening. Georgie will be available for book signing and a stunning collection of her originals and limited edition prints will be on display in the gallery. We hope you can join us.